I finally decided to tackle that kitchen drawer. You know the one that you stuff full of things you don’t know where else to put but you think will be useful. One of the many odd things I did come across in the drawer was a set of tablecloth weights. They had never been used and were still in the original packaging. Why I had them I don’t know as I never use a tablecloth. The weights did look kind of cool as they were simply smooth flat pebbles with a clip, that’s probably why I bought them in the first place. 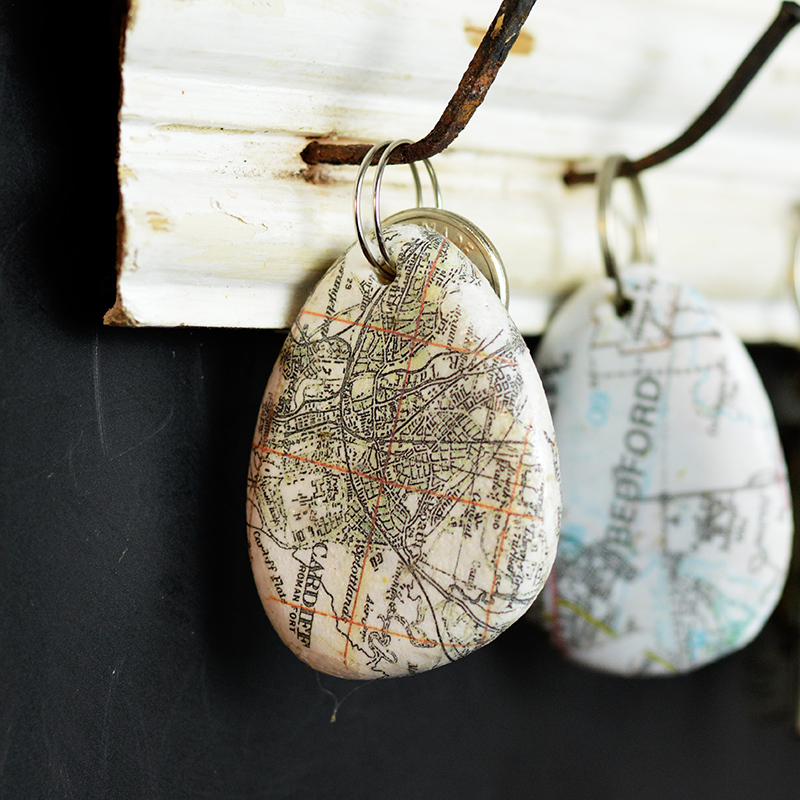 I decided to keep them but not as tablecloth weights but to revamp them into a unique map rock keychain. They look even cooler now as I printed maps onto them. 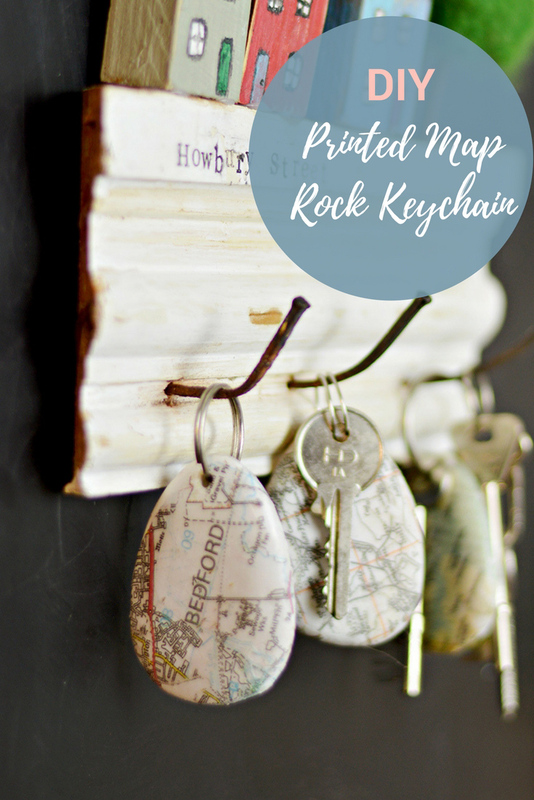 A map rock keychain would make a lovely gift especially as you can print any kind of map you want on them. You can use a street map of where you live or a map of your favourite holiday destination. They are so simple and easy to make. 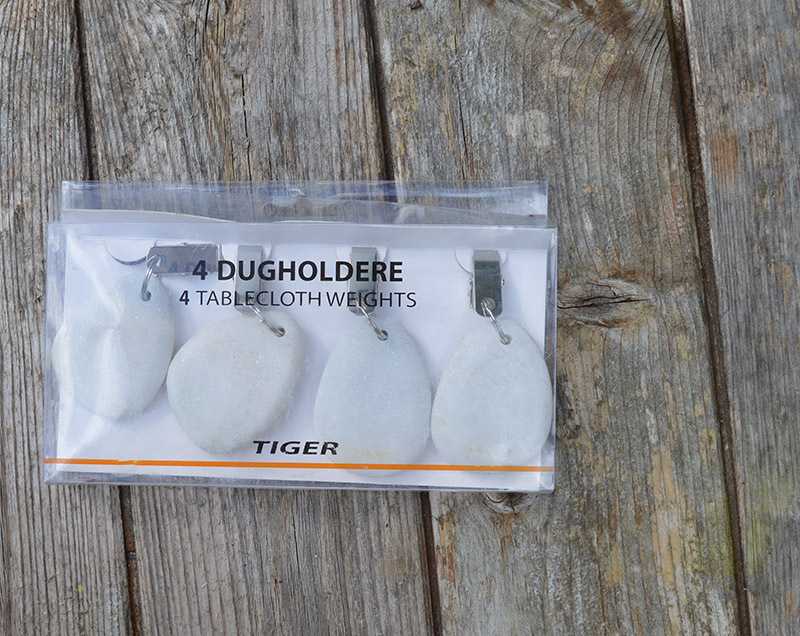 Flat pebble tablecloth weights – The ones I used were from Tiger stores but you should be able to find them in your local discount store or even on Amazon. You can of course just find some flat pebbles at the beach or river and use a Dremel with a diamond tipped drill bit to drill a hole them for a keyring. Maps – Mirror printed with a laser printer. 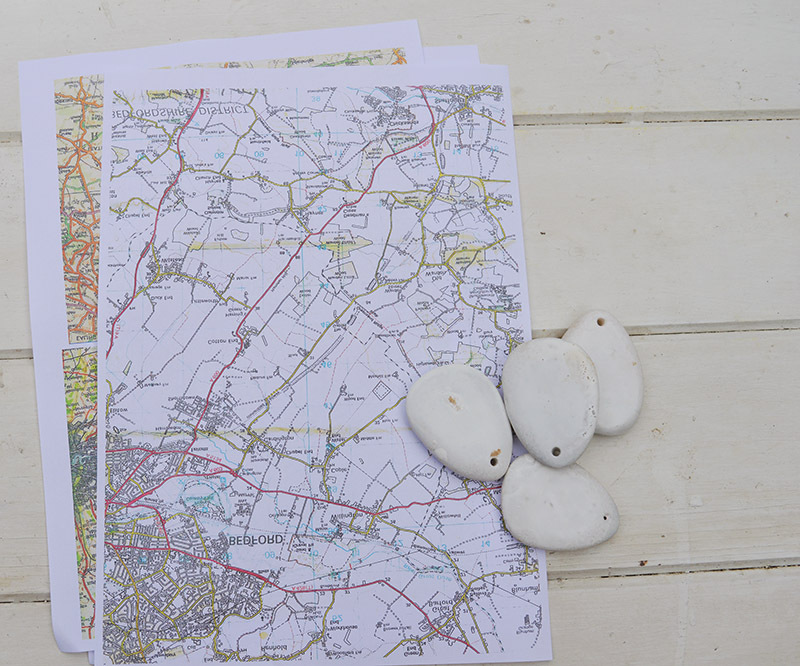 The first time I tried to print a map onto the pebbles it wasn’t very successful the map came off easily. The second time I used a primer first and the map stayed on. 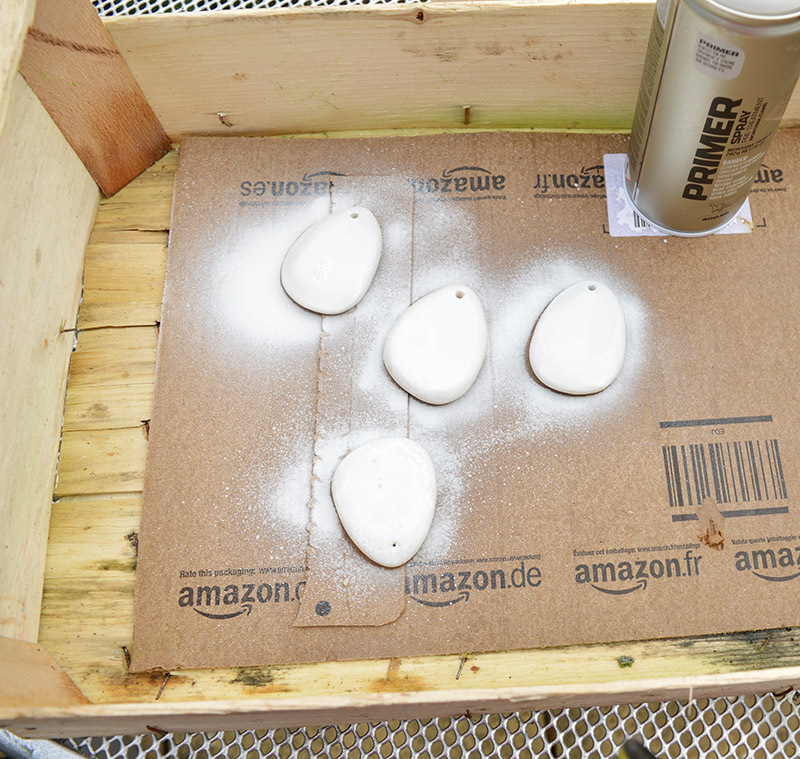 Therefore what you need to do first is to spray the rocks/pebbles with a universal primer. The maps that are to be printed onto the rocks need to be a mirror image and printed onto normal copy paper with laser ink. You can simply scan in any map you want to use or print one from the internet. I don’t have a laser printer, I simply got my local copy shop to print my maps for me on to a sheet of A4 paper for a very small cost. Cut out 2 pieces of map one for each side of the stone. 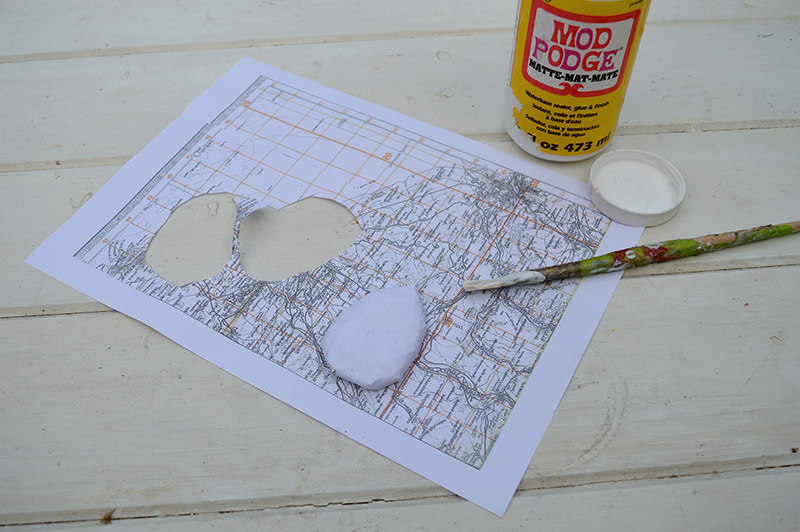 If using table weights remove the metal clip from the pebble and then cover liberally with Mod Podge and stick the maps to it. Leave to dry. Once dry wet the pebble either under a running tap or in a tub of water and rub away the white paper. As you rub away the paper you will see that the map has printed onto the stone. Carry on rubbing until all the paper residue has been removed. Finally to finish off the map rock keychain, spray with a protective varnish and then add a metal keyring. I just love anything with a map on it so I made a few of these keychains. One with a road map of Bedford where I currently live and one with a map of Cardiff for my son who is currently studying there. 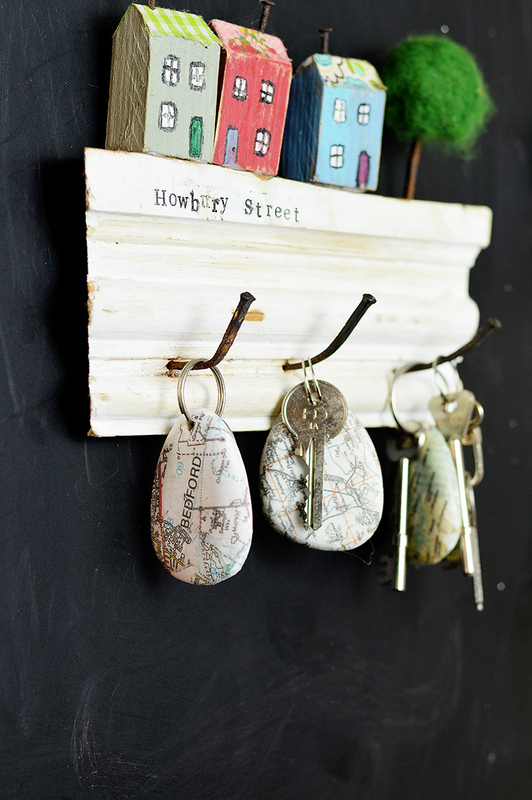 You can even make a cute personalised wall key holder of your street for your map rock keychains like the one below. 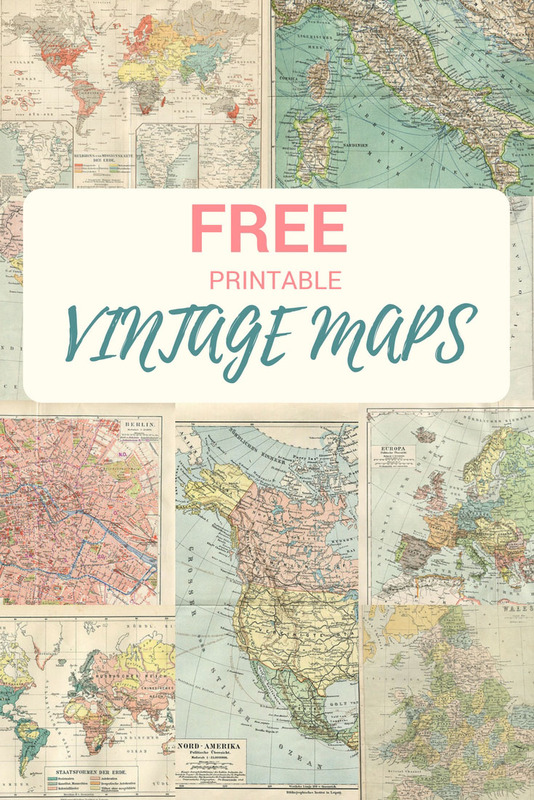 I have some free printable maps on the blog you can download. This is not the first time I’ve printed maps onto stuff. Thank you, Tina. The think you are talking about is actually a tray from IKEA. I used table weights that had pre drilled holes. But you can easily drill holes into pebbles with a rotary drill like a dremel with a diamond tip drill bit. I love this idea!! I’m having a hard time finding the rock tablecloth weights, though. Do you have any other suggestions of where to find them? Not sure if you are in the US or UK, I got mine from Tiger in the UK. Amazon.com has some heart shaped ones at the moment http://amzn.to/2hZjIeO. You can however just get some flat pebbles and using a diamond tipped drill, drill a hole into them. Hope that helps. I’m in love with this font!! Can you tell me what it is & where to find it? Thank you, Lillian. Pleased to hear you like my projects and have had a look around. The font is called Pompiere and I think it’s readily available. I absolutely love your map keychains! I’ve been putting off trying to transfer images on to objects, but you have inspired me! Thank you! Thank you Gigi, map transfer is a simple fun technique you should give it ago. What a clever and beautiful creation, Claire! 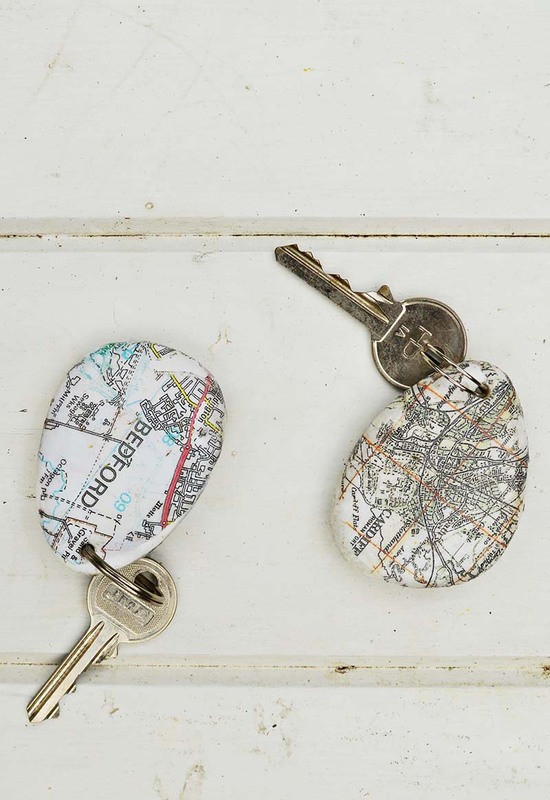 I love these map keyrings! Kisses! These are so clever! I’ll be featuring your fabulous key chains tomorrow night at Best of the Weekend! Thank you, I can’t wait to see them. Claire, These are awesome! I would love to have one of these hanging from my keychain 🙂 Pinning to share! Thank you and thanks for the share. You hold the title for most unique maps and denim projects. Thank you for sharing with us this week at Celebrate Your Story and we hope you will join us again next week. Thank you Sandra, and thanks for hosting see you next week. These are ridiculously cute! They would make such great presents for those hard to buy for people. Everyone has keys to something! Thank you, Julie. I’ve already had a few requests from family to make them as gifts. So fun, Claire! Thanks for sharing @ Vintage Charm! Thank you, Michelle. The feelings mutual I love your creative makes too! This is a fabulous idea. They are so cute. Super cute idea! I love the maps details. What fun! Ahh thank you Lins. Yes I’ll be making a few as stocking fillers. Thank you Sarah, housewarming gifts are a great idea. Wow, I love these. You did an excellent job here. I can’t wait to make this project for my family. Thank you, Ivory they will make a lovely gift. 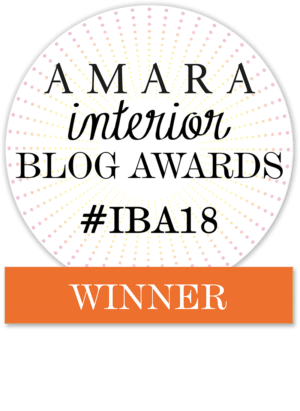 I’ve never been to your blog before, but I love it! 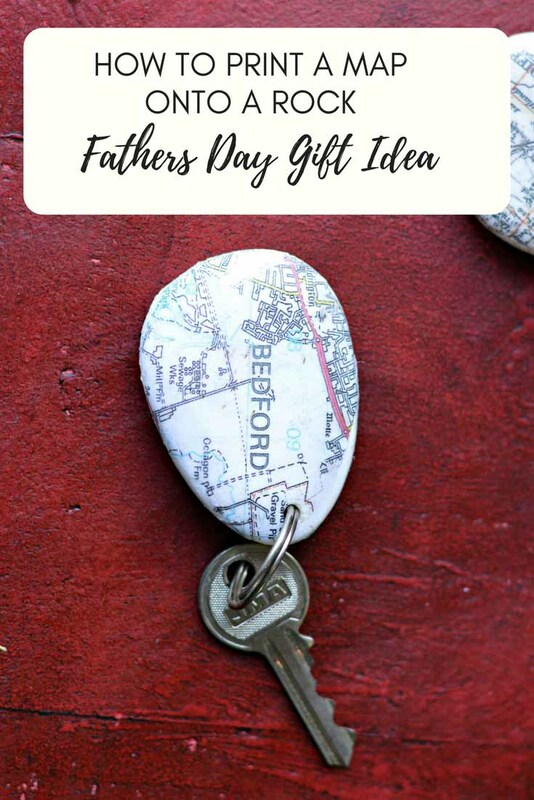 These are so clever and so easy to customize. Thanks for the great ideas! Thank you, Trish and hello! It’s lovely to get a new visitor. Thank you Jill. I’ve just visited your blog and the flowers are gorgeous!